The rotating front seats create a cozy seating area in no time. The complete kitchen and the presence of the (cassette) toilet bring the necessary holiday convenience! In addition, the bicycle carrier makes it possible to bring your own bikes. 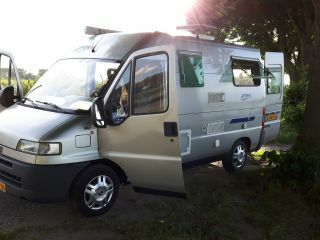 I ask once € 99, ​​- for rijklaarmaken of the camper. Pets and festivals in concert! Cleaning costs are optional. You can also clean dropping it off again. I ask for cleaning the exterior € 75, - and for the inside € 125, -. 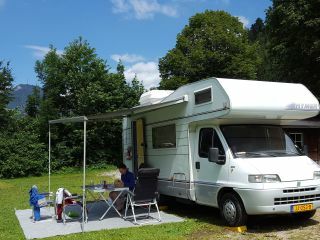 Compact top Hymer motorhome for a family or couple!